You are currently browsing the tag archive for the ‘rise’ tag. 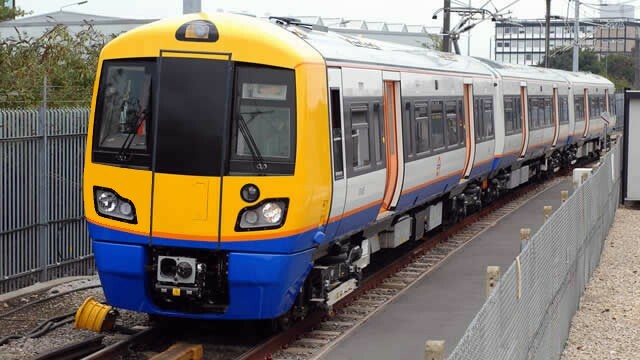 The rail industry’s powers to increase fares are being curbed as part of the Government’s drive to cut the cost of living and overhaul the existing rail fare system. The ability of train operators to add an additional five per cent to some individual fares, as long as the average rise of regulated fares is maintained at one per cent above inflation, is being limited to just two per cent as part of the Government’s Fares and Ticketing review published today by Transport Secretary Patrick McLoughlin. As well curbing the rise in fares, the review opens the door for future innovations such as the end of paper tickets, a code of conduct for train companies to give passengers the confidence that they are getting the best deal for their journey, and a flexible approach to season tickets which could benefit part-time workers. Transport Secretary Patrick McLoughlin said: “By capping fares we are protecting passengers from large rises at a time when family incomes are already being squeezed. We will need to wait for the rail industry to calculate individual ticket prices for next year, but this cap could save some commuters as much as £200 a year. The Fares and Ticketing Review sets out the Government’s vision for a modern, customer-focused fares and ticketing system aimed at encouraging even more people to travel by rail and ensuring they have a better experience. •	A Ticketing Code of Practice. The Office of Rail Regulation (ORR) will oversee the code to ensure that passengers are provided with the information they need to choose the best ticket for their journey and that this information is clear and not misleading. •	Ticket Offices. A strengthening of the rules around how train companies alter opening times at station ticket offices. The Government’s intention is that passenger representative bodies can play a greater role in shaping any changes and ensure that appropriate passenger safeguards are also put in place. •	Flexible Ticketing. The Government is committed to introducing more ’touch in – touch out’ rail tickets across the network which could mean part-time workers receive a discount on season tickets for travelling 3 days rather than 5 or for travelling earlier or later. The Department for Transport’s £45 million South East Flexible Ticketing programme will pilot many of these innovations next year. •	Market Review. The ORR will look into the sale of tickets and consider whether current markets are operating efficiently, effectively, and in the best interests of passengers and taxpayers. The Department has committed to consider any cost-effective recommendations that come out of the review. •	Annual Surveys. ATOC has agreed to release information to customers from next year on how well ticket office staff, ticket machines, and websites perform in regards to selling passengers the best ticket for their journey. •	Single Leg Pricing. The DfT is planning a pilot scheme which will allow passengers to more easily ‘mix and match’ each ticket type when planning a return journey, giving passengers extra confidence that they are getting the best deal on their journeys.